Back by popular demand at our May 17 Suds & Buds party will be the charity wine pull. To make it work, we need club members to each donate at a meeting a bottle of wine valued at $20 or more. Or, donate $20 and our wine committee will buy the wine for you. Wine bottles will be bagged and numbered and guests at the party will pay $20 and take home a mystery bag of wine. Proceeds will benefit our Rotary Club, Norfolk Botanical Garden and Lee's Friends. 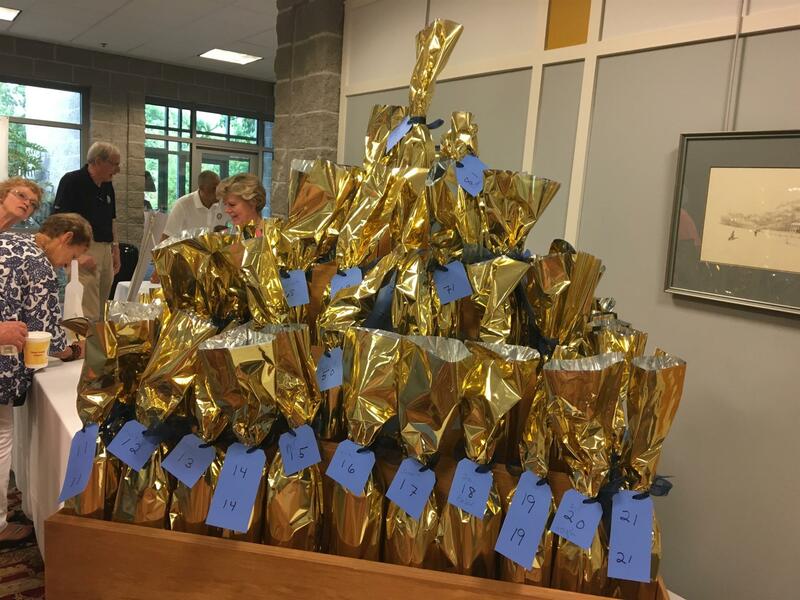 The wine pull sold out quickly at last year's Suds & Buds and netted more than $2,000. Chick Robison is chairing the wine pull committee with help from George Compo. If you have questions contact Chick at cdrobison3@cox.net.